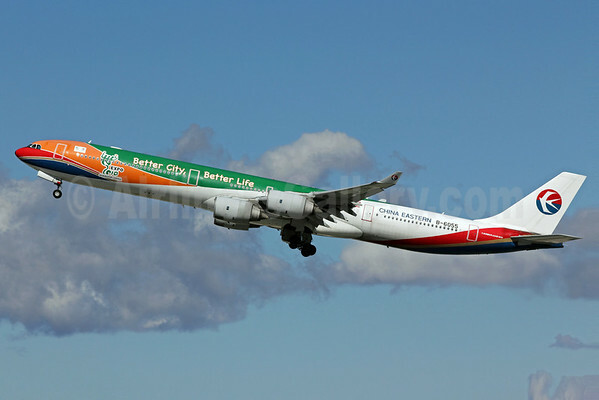 China Eastern Airlines (Shanghai) yesterday (May 3) operated the last revenue flight with its last Airbus A340-600. 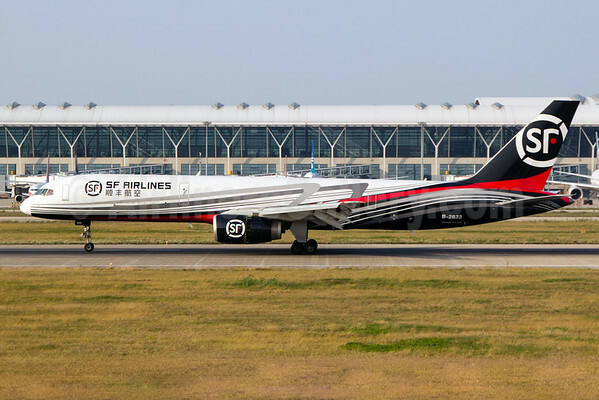 The airline operated the last flight, flight MU 524, from Tokyo (Narita) to Shanghai (Pudong) with the pictured Airbus A340-642 B-6055 (msn 586) in the special Expo 2010 Shanghai livery. The last flight ended 12 years the type was operated by the carrier. Copyright Photo: Michael B. Ing/AirlinersGallery.com. Airbus A340-642 B-6055 (msn 586) in the “Better City, Better Life” livery for Expo 2010 departs from Los Angeles International Airport in the past. This entry was posted in China Eastern Airlines and tagged 586, A340, A340-600, A340-642, Airbus, Airbus A340, Airbus A340-600, B-6055, China Eastern Airlines, Expo 2010, LAX, Los Angeles, Narita, Pudong, Shanghai, Tokyo on May 4, 2015 by Bruce Drum. 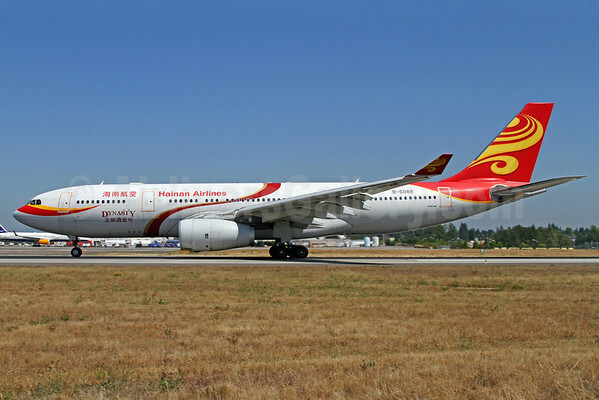 Hainan Airlines (Haikou and Beijing) is adding more flights from Seattle-Tacoma International Airport (SEA) to China. The fast growing carrier will add a new route from SEA to Shanghai on June 22. The new route will operate four days a week (on Mondays, Wednesdays, Fridays and Sundays) with two-class Airbus A330-200 aircraft. Flight 7956 will depart Seattle/Tacoma at 12 noon (1200) and arrive Shanghai Pudong Airport at 4:30 pm (1630) the following day. Flight 7955 will depart Shanghai Pudong at 1:15 pm (1315) and arrive Seattle/Tacoma at 9:35 am (0935) the same day. Flight time is 13 ½ hours westbound and 11 hours 20 minutes eastbound. The new service compliments the existing service from SEA to Beijing, which will expand to daily service on June 15. Hainan started serving SEA in June 2008. Copyright Photo: Mark Durbin/AirlinersGallery.com. Airbus A330-243 B-6088 (msn 906) is pictured at Seattle-Tacoma International Airport. This entry was posted in Hainan Airlines and tagged 906, A330, A330-200, A330-243, Airbus, Airbus A330, Airbus A330-200, B-6088, Beijing, Hainan Airlines, Pudong, Seattle, seattle tacoma international airport, Seattle/Tacoma, Shanghai on February 17, 2015 by Bruce Drum. Delta Air Lines (Atlanta) plans to begin daily nonstop service between Los Angeles International Airport and Shanghai-Pudong Airport on July 9, 2015, pending U.S. Department of Transportation and foreign government approval. The route will operate using a 291-seat Boeing 777-200 LR aircraft with 37 full flat-bed seats in BusinessElite, 36 seats in Economy Comfort and 218 seats in Economy class. Combined with its hubs in Detroit, Seattle/Tacoma and Tokyo-Narita, Delta will operate 42 weekly departures to China’s global financial center. Additionally, Delta offers daily service to China’s capital, Beijing, from both Seattle/Tacoma and Detroit. Travelers passing through Los Angeles continue to enjoy the benefits of the $229 million expansion and enhancement of Terminal 5 at LAX. The current project will double the size of the ticketing lobby and screening checkpoints and open an exclusive Sky Priority lobby with dedicated access to screening checkpoints for Delta’s high-value customers. It also will include renovations to the Delta Sky Club and new baggage carousels. All renovations are expected to be complete prior to the start of Shanghai service in July. Copyright Photo: Michael B. Ing/AirlinersGallery.com. Delta Air Lines’ Boeing 777-232 LR N702DN (msn 29741) named “The Spirit of Atlanta” arrives at Los Angeles International Airport. 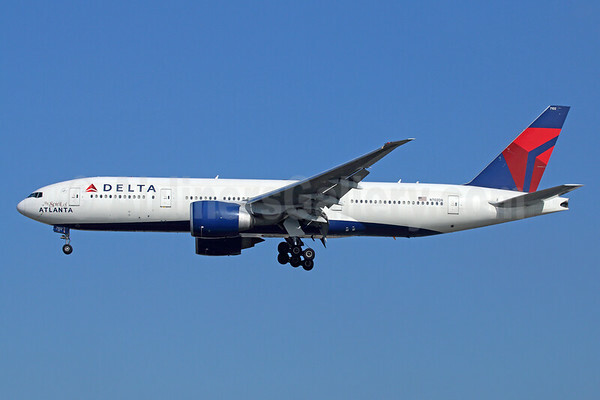 This entry was posted in Delta Air Lines and tagged 29741, 777, 777-200, 777-200LR, 777-232, Boeing, Boeing 777, Boeing 777-200, Boeing 777-200LR, Delta Air Lines, LAX, Los Angeles, los angeles international airport, N702DN, Pudong, Shanghai on January 15, 2015 by Bruce Drum. China Eastern Airlines (Shanghai) will now introduce the new Boeing 777-300 ER on the Shanghai (Pudong) – Toronto (Pearson) route on June 17 (delayed from April 15) according to Airline Route. 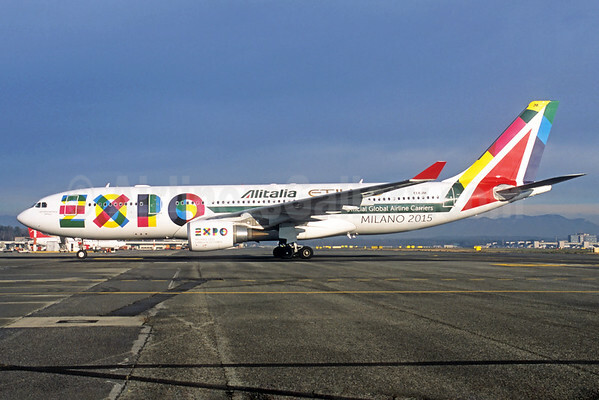 The new type will replace the Airbus A340-600 currently operating on the route. The route is operated on three days a week. Copyright Photo: Daniel Gorun/AirlinersGallery.com. The pictured Boeing 777-39P ER B-2001 (msn 43269) in the new look was handed over to the carrier on September 23, 2014. 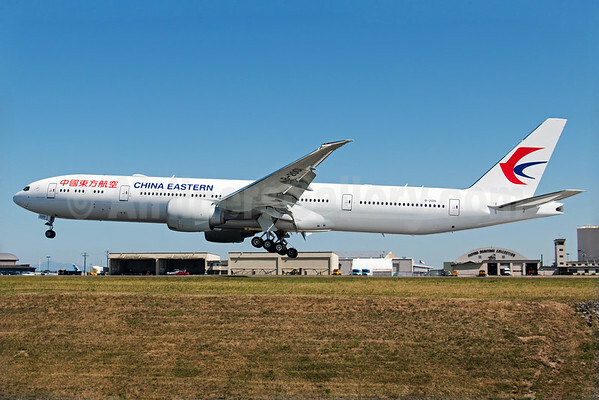 This entry was posted in China Eastern Airlines and tagged 43269, 777, 777-300, 777-300 ER, 777-39P, B-2001, Boeing, Boeing 777, Boeing 777-300, China Eastern Airlines, Everett, PAE, Paine Field, Pearson, Pudong, Shanghai, Toronto on January 13, 2015 by Bruce Drum. 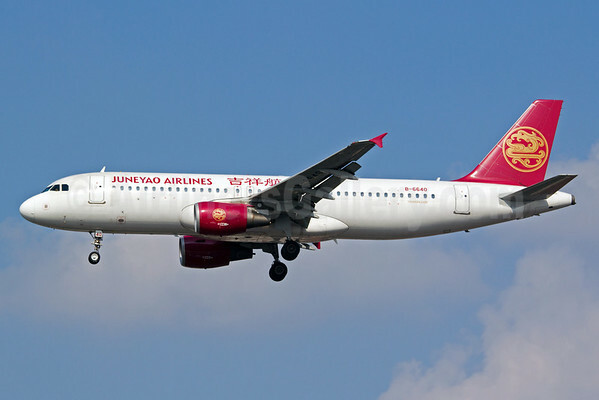 Juneyao Airlines (Shanghai) is launching a new routes on December 1 from Shanghai (Pudong) to Taipei (Taoyuan). Copyright Photo: Yuji Wang/AirlinersGallery.com. Airbus A320-214 B-6640 (msn 4064) arrives back at the Shanghai base. This entry was posted in Juneyao Airlines and tagged 4064, A320, A320-200, A320-214, Airbus, Airbus A320, Airbus A320-200, B-6640, Juneyao Airlines, Pudong, SHA, Shanghai, Taipei, Taoyuan on November 26, 2014 by Bruce Drum.